In transportation circles, there’s an endless debate about how to fund infrastructure. Raise the gas tax? Index it to inflation? Institute a vehicle-miles-traveled fee? Many jurisdictions have turned to property taxes, bonds, and sales taxes as a supplement. But Virginia Governor Bob McDonnell is blowing the whole thing wide open with a half-baked scheme for the ages: Stop asking drivers to pay any gas tax at all. Who will pay? Everyone else. Instead of having drivers chip in for the roads they use, he proposes to raise the sales tax. But wait, it gets crazier: He also wants to add a $100 fee on drivers of vehicles powered by alternative fuels. Fees like that make sense when you’re dealing with a gas tax-funded system that hasn’t found a way to adequately charge electric- and hybrid-car drivers. But taxing only drivers of alternative-fuel cars is just a complete perversion of incentives. And it’s all made so much worse by the fact that McDonnell proposes to keep exempting fuel from the sales tax. So, that 5.8 percent sales tax he wants to levy on milk and pencils and television sets? Drivers won’t have to pay any of that for the fossil fuels they pump. It’s bad enough when states exempt gas from the sales tax because it’s taxed separately, as 37 states and the District of Columbia do. But to exempt it from both just makes no sense. What’s more, a sales tax is more regressive than a gas tax, taking a bigger chunk out of poor people’s wallets than rich people’s — a double whammy if you’re a low-income Virginian with no car who would end up subsidizing other people’s driving. “This package significantly shifts the burden of paying for our transportation needs to the backs of just Virginia residents and lets the interstate driver off the hook,” Delegate Vivian E. Watts (D-Fairfax), a former state transportation secretary, told the Washington Post. Drivers would pay something in McDonnell’s grand slam of stupid ideas. He proposes to raise vehicle registration fees by $15. His proposals would raise an estimated $3.1 billion to shore up state transportation coffers over five years. The money will fund his comprehensive transportation plan, announced in 2009, which would raise the speed limit, expand public-private partnerships, and fund everything from high-speed rail to widening I-66 to finishing the silver line to Dulles airport. His plan also takes a page from the Republican Party playbook, suggesting that off-shore oil-drilling money should be dedicated to transportation. Pass the Kool-Aid. McDonnell’s earlier attempt to index the gas tax to inflation was shot down by conservatives in the statehouse after a fair amount of goading from Grover Norquist of Americans for Tax Reform. Norquist has already signaled that this plan to eliminate the gas tax altogether doesn’t sit well with him either: He doesn’t like the sales tax hike or the jump in registration fees. He wants a “revenue neutral” approach that would draw more funds from the state’s general fund. Sounds like another way for everyone but drivers to pay for transportation infrastructure. The Post reported today that the chances for passage of this new proposal are uncertain. If Virginia legislators have their heads screwed on straight, they’ll laugh McDonnell and his funding plan out of town. But some predict it could play well politically for McDonnell. Don’t be ridiculous, Ladies. Look, when you say “everyone else” but drivers, you should be saying “everyone, INCLUDING drivers”. Do drivers not pay sales taxes, too? And if you actually look at the Governor’s proposal re the $100 alternative fueled vehicle charge, you will see that he proposes to spend all that money on transit! Yes, he proposes to fund transit on the backs of the greenies who already are paying a premium to be green. Why do you have a problem with spreading out the entire cost of transportation among the entire population that benefits from it? Could it be that you like things the way they are because, today, motorists pay the lion’s share of their own transportation costs while costs incurred by transit users are borne largely by the population at large, INCLUDING DRIVERS? To eliminate the 17-cent gas tax and impose a 5.8 percent sales tax on gas, as you’re suggesting, would be 23 cents per gallon as long as gas is selling at $4.00. And then there’s that $15 registration charge the Governor is proposing. Except, John, motorists don’t pay “the lion’s share of their own transportation costs.” 21% of Virginia’s direct transportation spending is NOT covered by road user fees — nor is 100% of Virginia’s indirect road spending (everything from policing roads to managing VDOT to myriad external costs like pollution and road casualties). At the federal level, the HTF has similarly received several huge bailouts of general fund revenue. Drivers pay many transportation costs because drivers incur almost all of the total costs — direct, indirect, and external — of the system’s costs. 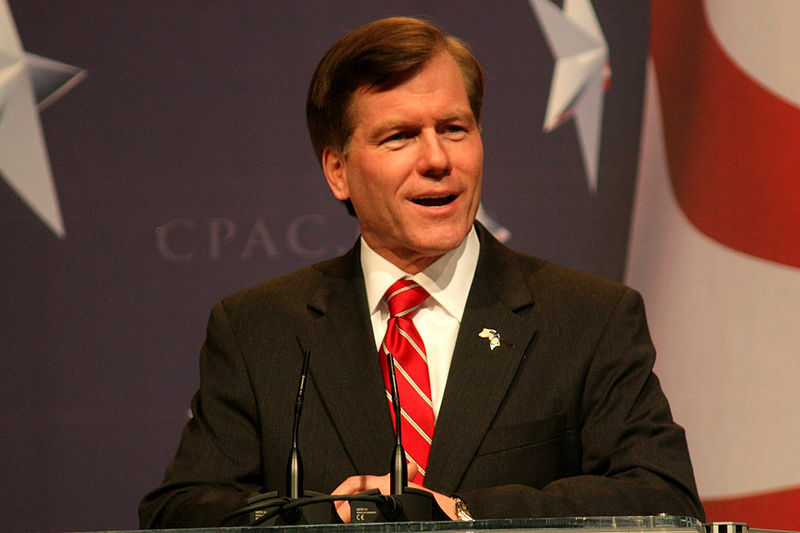 This is because Bob McDonnell is an evil, stupid Republican. Unfortunately, this is the sort of thing I expect from Republicans. It’s like Bush going to war in Iraq — just pure stupidity and destruction for its own sake. If Viriginia did this it would become the first US state to be like Venezuela, Iran, and the little Arab monarchies — all of which deliberately subsidize gasoline. Appalling and stupid policy. Exactly what I expect from Republicans. In general, the “user fee” argument is a bad way for progressives to frame the discussion about highways. People like the Cato Institute love it, because it’s a direct line from arguing that highways should be paid for by user fees to arguing that public transit, schools, police services, etc. should be paid for by user fees. The right way to think about it is that on the spending side, there are public works projects that are more and less deserving of funding. Some highway projects are worth it, some are not. Same for transit. On the revenue side, there are better and worse ways of raising funds. The gas tax is a great way of raising revenue, because it is easy to collect and enforce, and it imposes an appropriate cost on things that have large negative externalities (driving and burning gasoline). A tax on kittens would be a terrible idea, because they’re cute and don’t have negative externalities. So McDonnell’s proposal is a terrible idea, but not because it lets drivers off the hook for paying for roads. It’s a terrible idea because it replaces a good tax on pollution and other social ills with a regressive tax that discourages spending, at a time that reduced demand is the last thing the economy needs. The additional fee on alternative fuel vehicles (at this point, basically just electric cars) is an even worse idea, because it punishes nascent technologies that we want to be encouraging.